Nnedi Okorafor’s two books Binti: Home and Akata Warrior are on the Hugo Awards 2018 shortlist announced on March 31, 2018. The two have been shortlisted in the best novella and The World Science Fiction Society Award for Best Young Adult Book. The Hugo Awards. These are the literary awards initially named the Science Fiction Achievement Awards until 1992 when they adopted “Hugo” after Hugo Gernsback, the founder of the pioneering science fiction magazine Amazing Stories. Organized and overseen by the World Science Fiction Society, they are handed out every year for the best science fiction or fantasy works and achievements of the previous year. Previous winners of the awards, first handed out in 1953, include Isaac Asimov, Larry Niven, Arthur C. Clarke, and J. K. Rowling. The awards announced those in the running for literary glory this year and there are quite a few categories. They are Best Novel, Best Novella, Best Novelette, Best Short Story, Best Related Work, Best Graphic Story, Best Dramatic Presentation – Long Form, Best Dramatic Presentation – Short Form, Best Editor – Short Form, Best Editor – Long Form, Best Professional Artist, Best Semiprozine, Best Fanzine, Best Fancast, Best Fan Writer, Best Fan Artist, and Best Series. They also have awards associated with the Hugo and these are John W. Campbell Award for Best New Writer and The World Science Fiction Society (WSFS) Award for Best Young Adult Book. There is a name this year that is familiar to many readers of this blog; Nnedi Okorafor. The Nigerian writer is in the running for two of her books. Binti: Home is in the running of best novella while Akata Warrior is in the running for the associated award the The World Science Fiction Society Award for Best Young Adult Book. It won’t be the first time that our favourite writer of Sci-Fi from Nigeria has been in this position as Binti, the previous book in the series, was in the running for the Hugos in 2016 and she won it. The winners of the 2018 Hugo Awards will be announced at a highlighted formal ceremony at the convention, on the evening of Sunday, August 19. Good luck Nnedi. 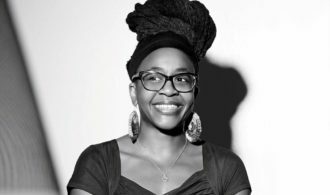 Pingback: Nnedi Okorafor’s “Lagune” wins Germany’s Kurd Laßwitz Preis 2017.